05 Dec 2018 --- The UK government’s Science and Technology Committee’s “Energy drinks and children” report has concluded that societal concerns could justify a ban on the sale of energy drinks to children, but found that the current quantitative evidence alone is not sufficient to warrant statutory legislation – for now. This comes despite a range of British health experts urging the UK government to push on with its proposals to ban energy drink sales to under-18s amid concerns over the potential negative impacts of excessive caffeine consumption on mental and physical health. The British Dietetic Association (BDA) is urging the government to ban sales to children, while the Royal College of Paediatrics and Child Health (RCPCH) says its “disappointed” with the findings from the UK government’s Science and Technology Committee. The findings concluded that energy drink consumption among minors should be reduced, but found a lack of evidence for a statutory ban. According to the report, there is no conclusive evidence that energy drink consumption is linked to harmful health effects on children. Yet, parents and teachers show increasing concern on the matter and recognize a need to implement such a ban immediately, mostly due to the high caffeine levels of energy drinks. BDA spokesperson Tom Embury, tells NutritionInsight that, although the BDA would always welcome more research and evidence, carrying out quantitative studies on the impact of caffeine on children’s health is very difficult on ethical grounds. The BDA notes that precautionary measures are necessary. 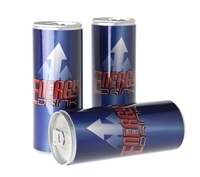 The law already requires that energy drinks are labeled “unsuitable for children” due to the negative effects of increased caffeine consumption on mental and physical health. “The BDA does not believe children should be consuming excess caffeine from any source, but energy drinks, because of their high per-unit caffeine content, appealing flavors and child-friendly marketing, are a particular problem. European law already requires that these drinks be described as unsuitable for children; so it seems a logical step to prevent their sale,” Embury adds. “Our review of the evidence demonstrates that the use of energy drinks by children and young people is associated with a number of adverse outcomes and health-damaging behaviors,” states Dr. Amelia Lake, Dietitian and Associate Director for Fuse, The Centre for Translational Research in Public Health at Teesside University, who has provided the committee with evidence. Recognizes that it might be legitimate for the government to implement a statutory ban based on societal concerns and qualitative evidence, such as the experience of school teachers. “The BDA believes that the sale of energy drinks with more than 150 milligrams of caffeine per liter should not be permitted for sale to under 18s. This age limit is in keeping with alcohol and cigarettes and will be easier for retailers to implement as they will already have processes in place,” continues Embury. The report says that the focus of its inquiry was energy drinks and children, but there are differences in how “children” are defined in different contexts. The government has consulted on whether to introduce a statutory ban on the sale of energy drinks to young people under the age of 16, 18 or another age and has yet to reach a definitive age, should a ban ever come into effect. In January, Dutch doctors also called for a ban on the sale of energy drinks to under 18s in the Netherlands, The Dutch Society for Pediatrics said it is treating more and more young patients who report symptoms such as restlessness, fatigue and cardiac arrhythmia. A ban is highly unlikely, however, with the Dutch Ministry of Health responding dismissively to the calls. Moreover, a nationwide survey of Canadian youth showed that over half of those who had ever consumed an energy drink had reported experiencing an adverse health event, including rapid heartbeat, nausea, and in rare cases, seizures. Additionally, the South Korean Ministry of Food and Drug Safety banned the sales of coffee to all elementary, middle and high schools nationwide this past September. Products high in calories or caffeine, or low in nutrition were restricted or banned at schools, including coffee milk products.